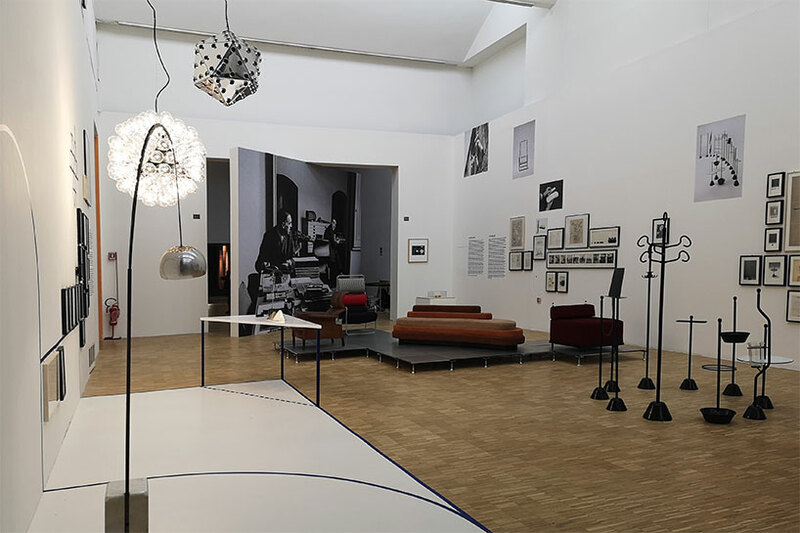 a major monographic exhibition dedicated to achille castiglioni (1918-2002) on the occasion of the centenary of his birth has opened in milan. 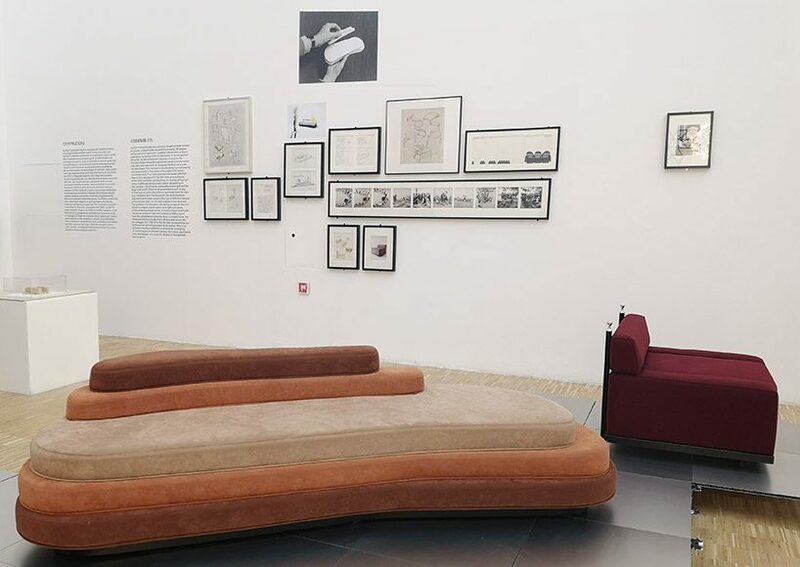 following last year’s sensational ettore sotsass: there is a planet, la triennale di milano continues its celebration of great masters of italian design. 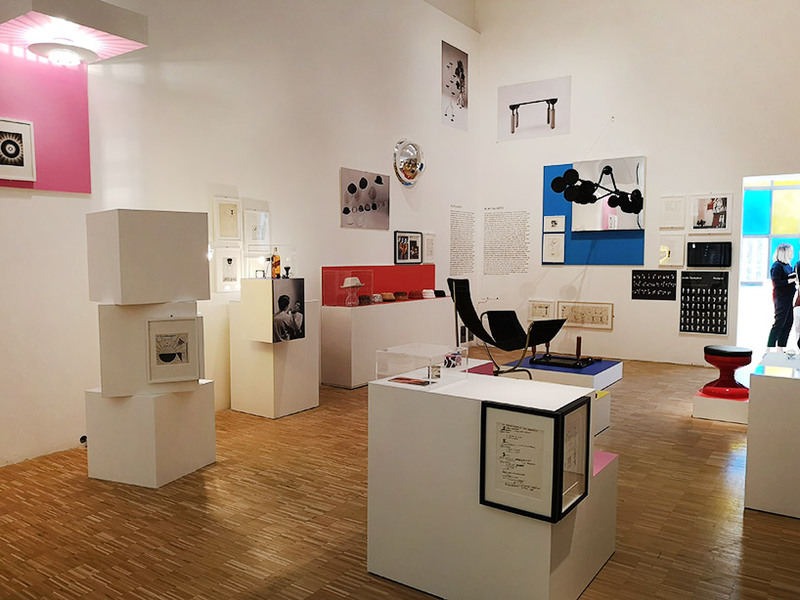 for the special occasion, designboom met patricia urquiola and federica sala during the building-up process to present you with a walk-through of the exhibition ‘a castiglioni‘. 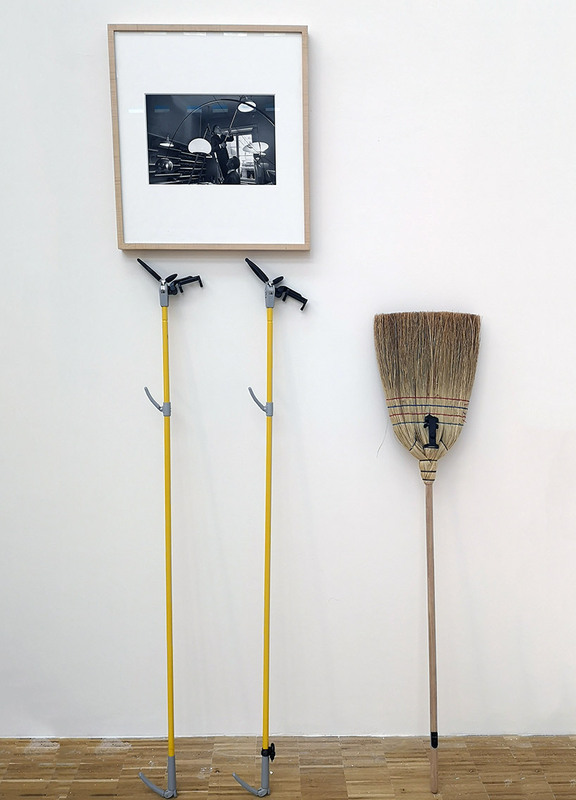 to give a clear picture of this highly active and, in a sense, timeless figure, it has been decided to show the work by means of a series of often overlapping and intersecting aggregates of content. the idea is thus to create a map of recurrent macro and micro concepts in his designs, in a non-hierarchic, non-linear, ramified manner. ‘his more architectural work is emphasized, because it is a topic rarely celebrated. usually his product designs get most of the attention.’ points out patricia urquiola. 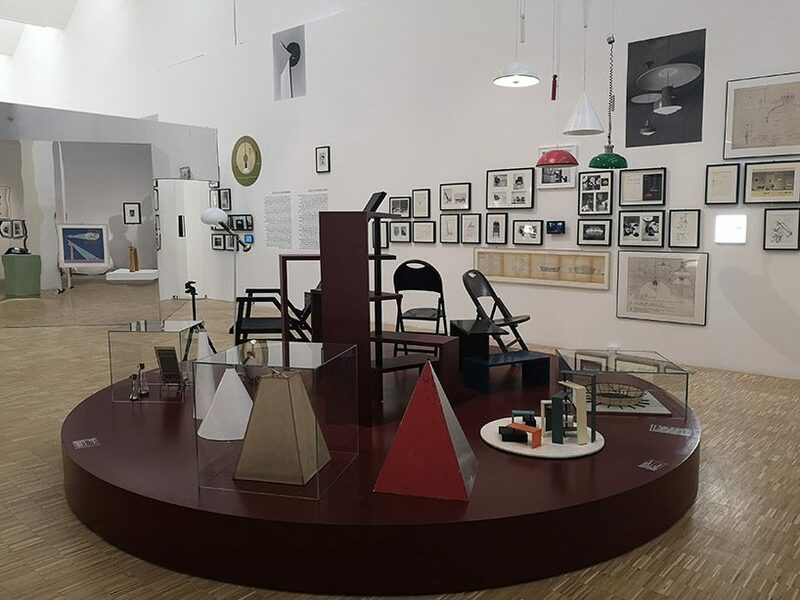 ‘a castiglioni‘ occupies two levels of la triennale, displaying a total of 200 works. on the ground floor there are seven clusters, starting with one dedicated to the city of milan and its architecture. 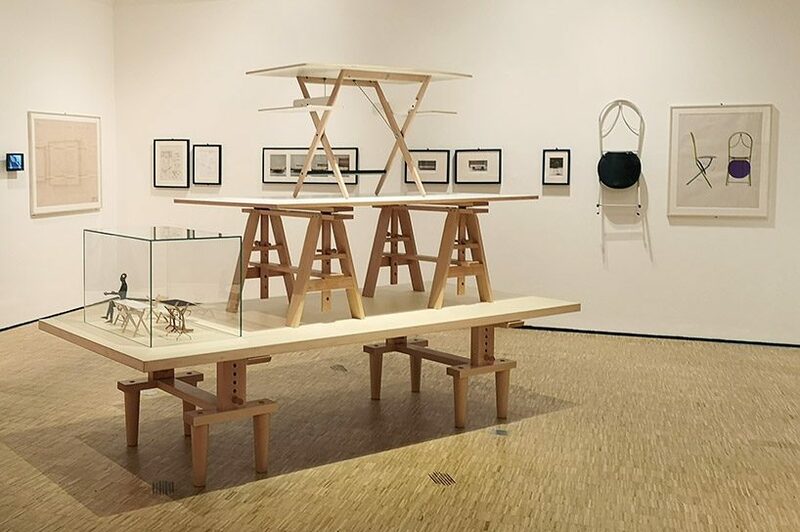 ‘this cluster is about achille’s relationship with his family and brothers, livio and piergiacomo, and also shows three buildings he designed for the city,’ note urquiola and sala, ‘accompanied by historic images. 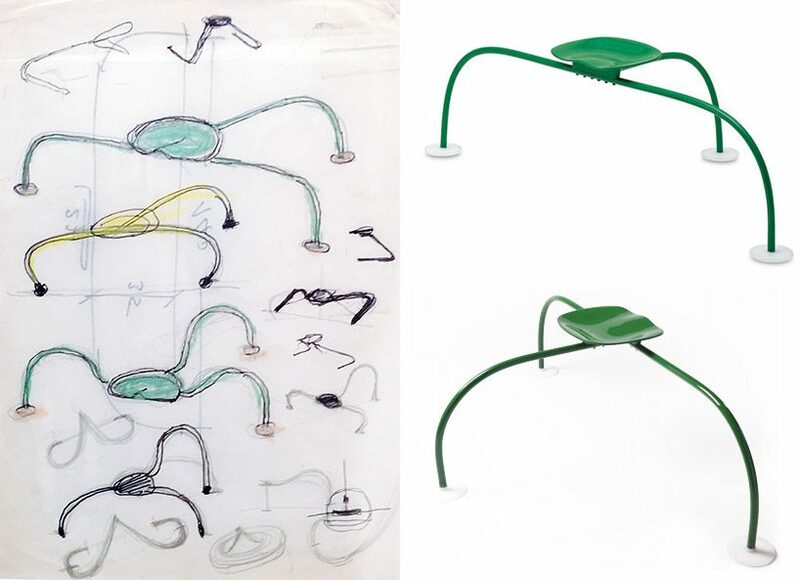 castiglioni’s own story-telling is then explaining what you are seeing’. 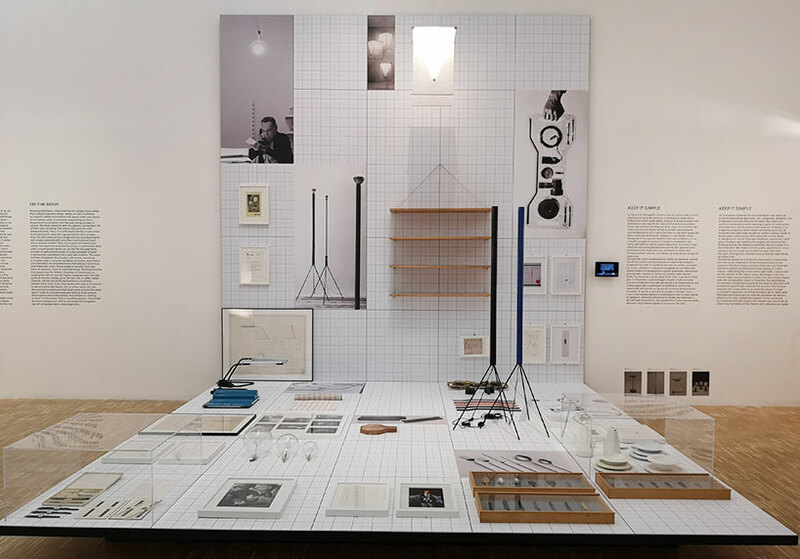 ‘we’re thinking about castiglioni from today,’ urquiola points out, ‘today the path doesn’t exist as a concept – it’s a more rhizomatic set of relations. you are browsing the net and you follow a link which takes you to another page,’ adds sala. 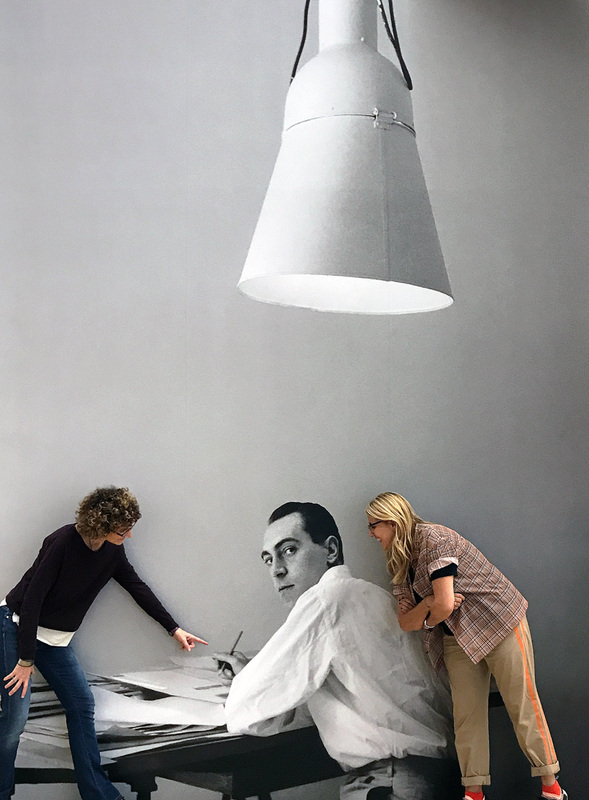 ‘we are trying to map the connections between his different works,’ note the two curators, ‘but it’s not a closed system. for achille and his brothers the idea of surprise was very important. 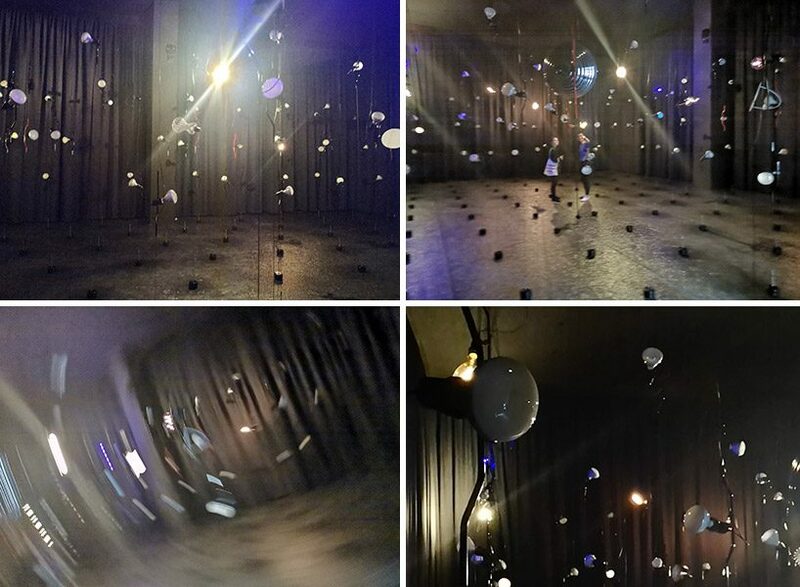 when they created exhibition designs, a moment of surprise was injected and people were not getting bored. another important aspect was that an individual, crossing the work, could be part of it. 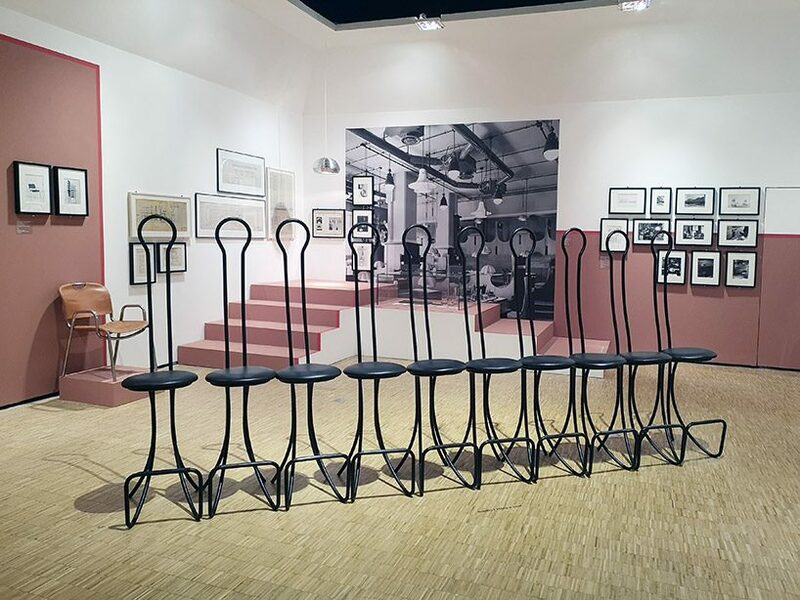 here, each cluster is always related to the person viewing the work’. similar to a brain, these areas don’t have a particular standardized dimension – some are smaller, and others are bigger. 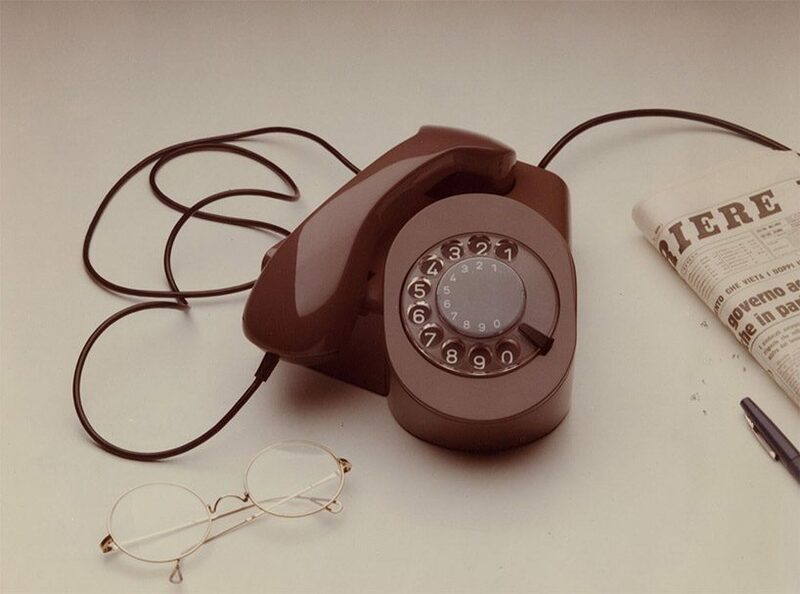 the ground floor is also dedicated to castiglioni’s passion for the phone, ‘every time he was doing a restaurant or an interior he was putting very visible a telephone inside’ sala explains. visitors go up the stairs with daniel buren’s glass work, part of a cluster in itself that is called ‘the void’. 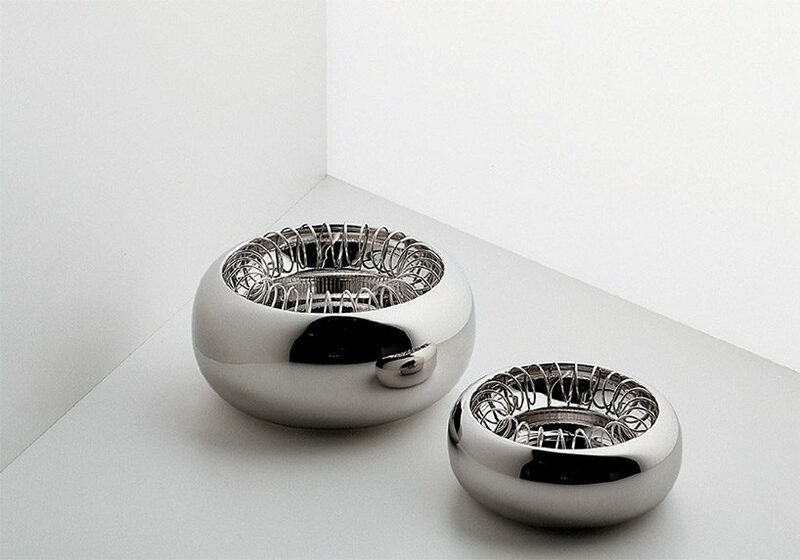 filled with smoke, the void is dedicated to castiglioni’s passion for smoking, with a round table displaying a few related items. 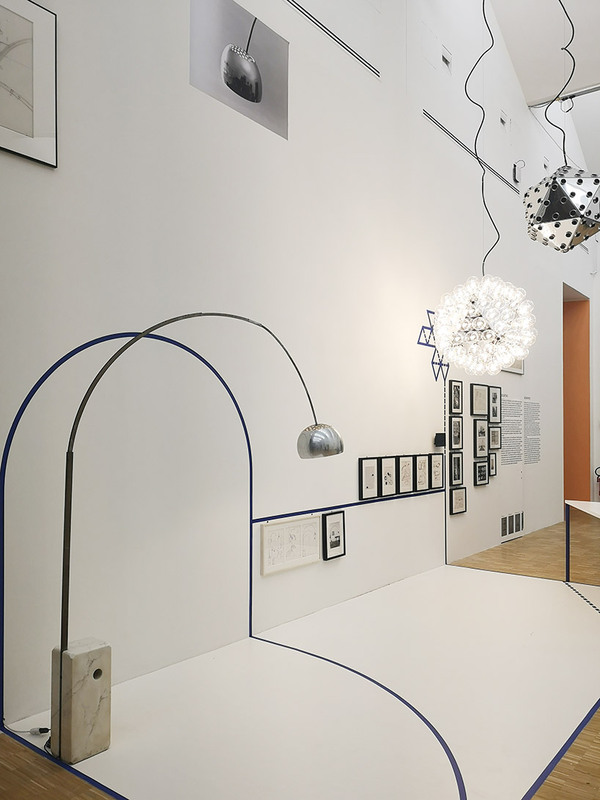 the upper gallery features 13 sections, including one cluster dedicated to playfulness, one to castiglioni’s relationship with technology, and one to his geometric designs. 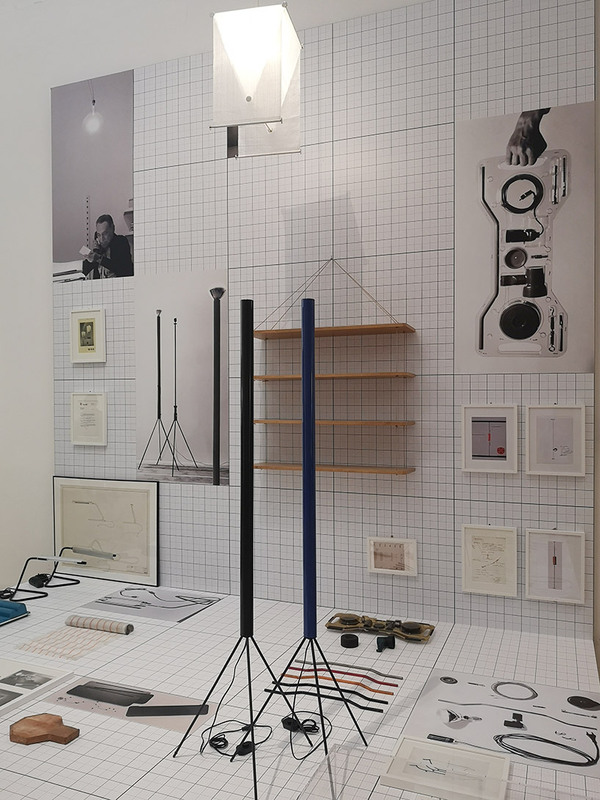 when presenting the ready-made series, the curators joined sony design to create a showcase that exhibits a bold approach while portraying castiglioni’s timeless sense of humour. 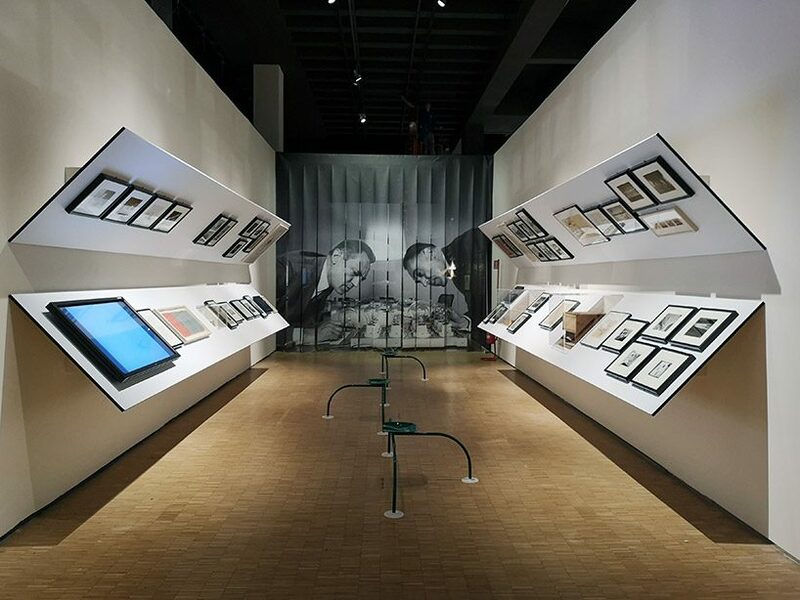 in it, the stories behind some of the designer’s most famous pieces were reinterpreted and conveyed into experiences that utilize technology. 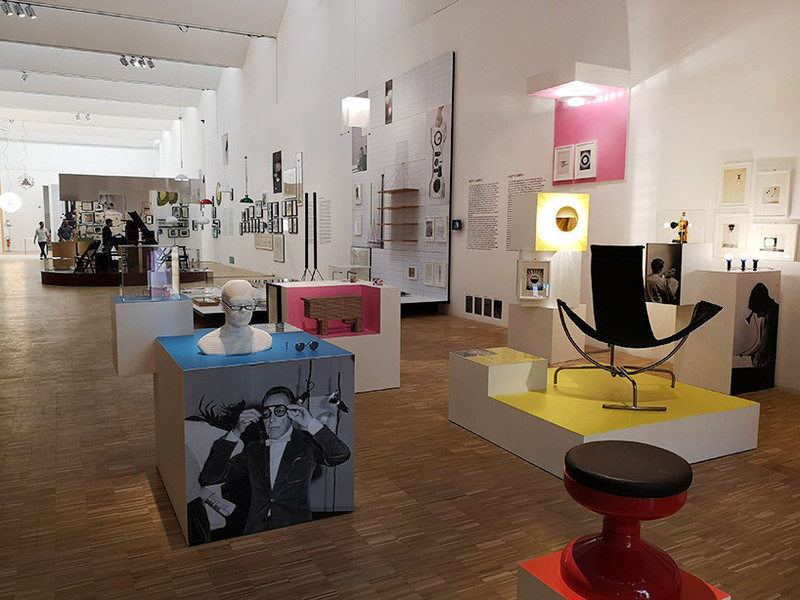 as seen on the video above, the dynamic installation shows, for example, a bicycle saddle and a milking chair blend into stella, castiglioni’s chair designed for talking on the phone. 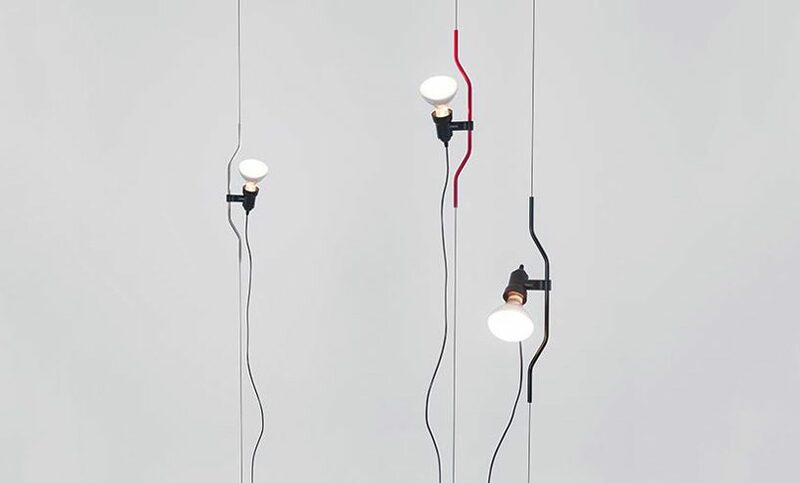 another example is ‘lampadina’ which sees a film reel rolling the electric wire. 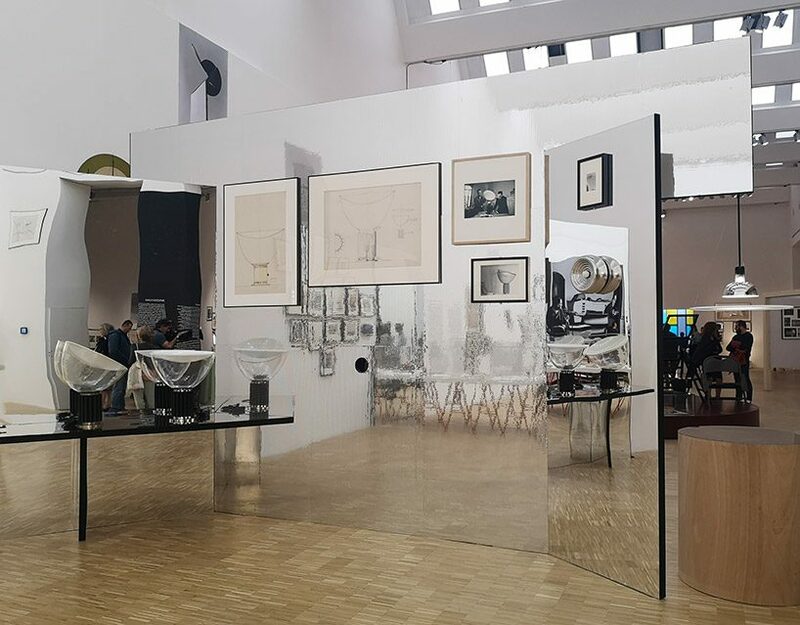 a big element coated in mirror sheets concentrates all the projects that have to do with reflection – the accompanying text here is written backwards, and only legible via a mirror. 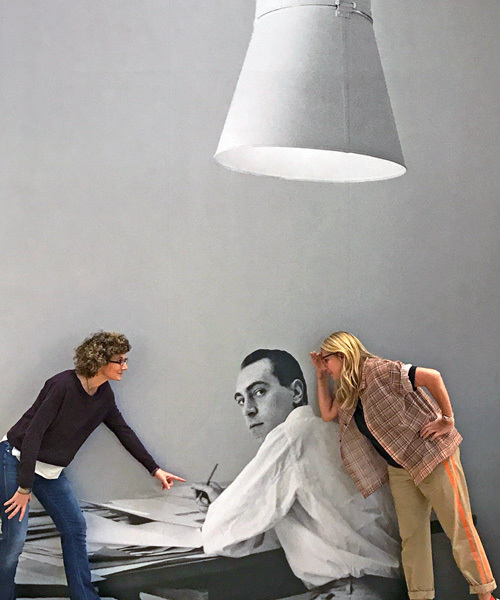 in this structure, visitors are invited to peek through a hole to see various models of the ‘gibigiana’, the penguin-looking-lamp that achille castiglioni designed for flos in 1980.
castiglioni’s approach was simple and direct but with a wealth of inquisitiveness and irony, and it became the method he used to train later generations of designers. 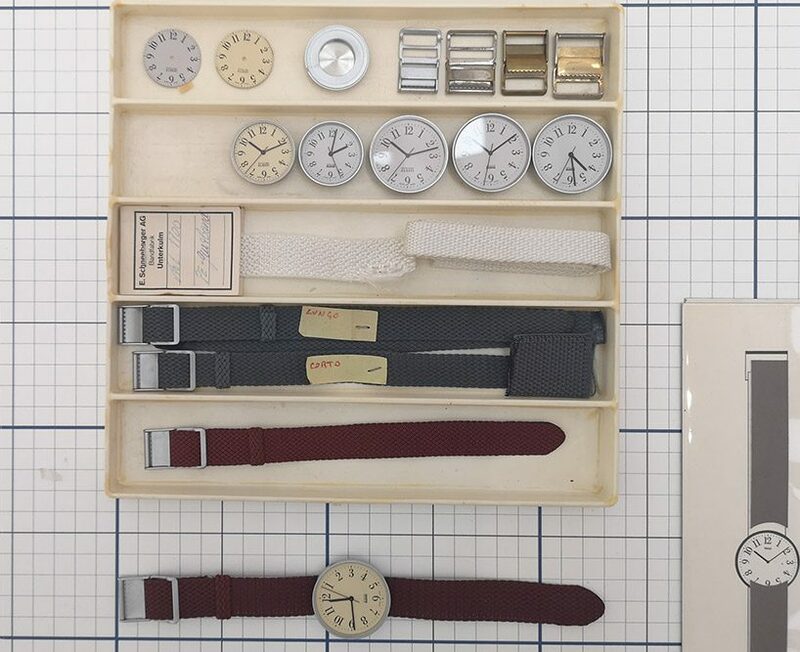 the items he designed – most of which are still in production today, and among their manufacturers’ bestselling products – took inspiration from the everyday world and transformed it into something new, adopting a wry approach to the relationship between form and function. 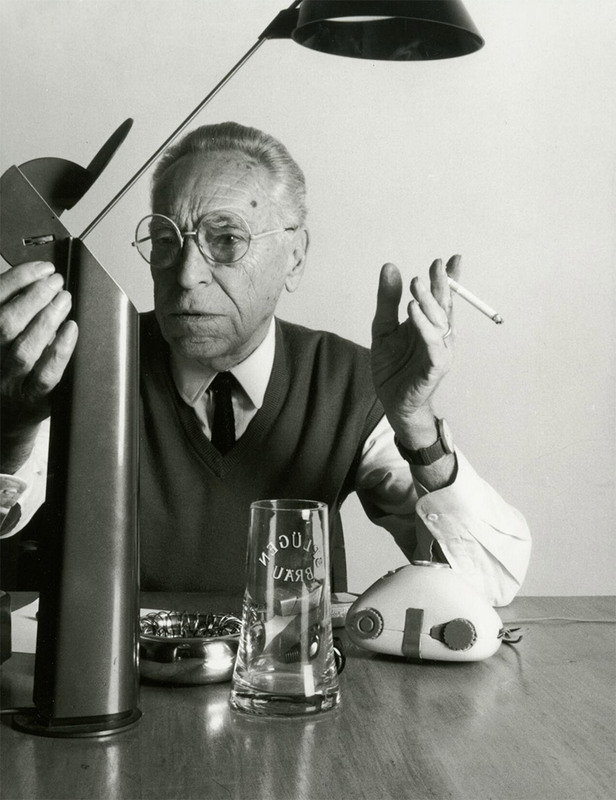 achille castiglioni, born 16 february 1918 in milan, was undoubtedly one of the founding fathers of the profession and of the italian design system. 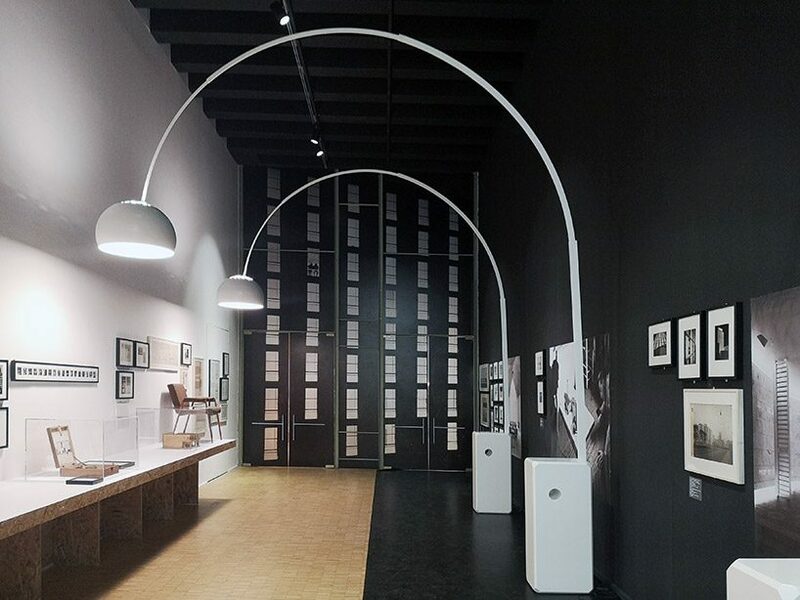 his legacy is kept very much alive today by the fondazione achille castiglioni – in the historic studio in piazza castello – dedicated to catalog, sort and archive, the digitization of projects, drawings, photos, models and videos: the whole world of achille castiglioni, in which he has worked during more than 60 years of activity, first with the brothers livio and pier giacomo, then, since 1968, alone. with pier giacomo until 1968 and with livio until 1979, achille was in a total creative symbiosis. the brothers represented the seriousness of rigour, achille the brilliance of experimentation. 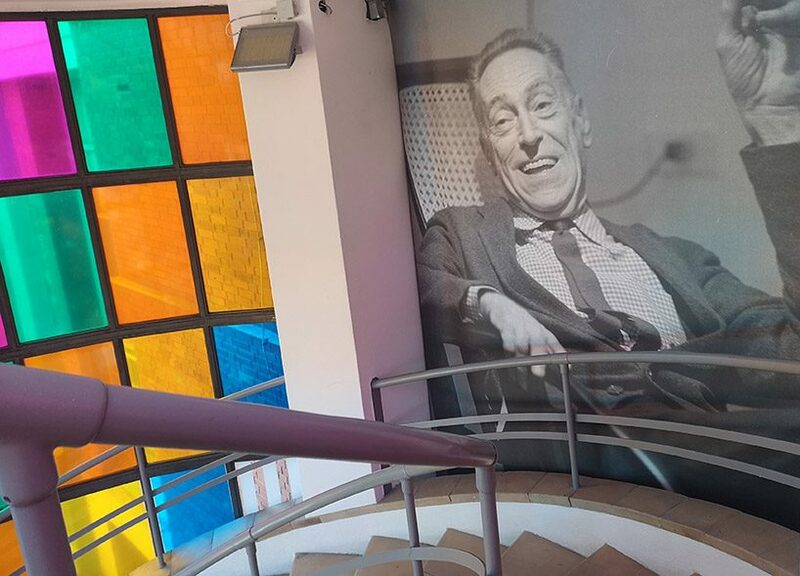 with their death, the castiglioni lost fundamental opportunities for the exchange of ideas and for a long time the pace of things had slowed down at the studio. 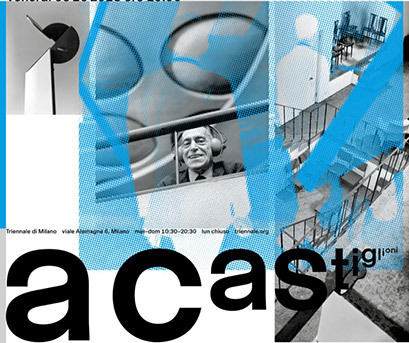 achille castiglioni designed over 400 temporary exhibitions and collaborated with a myriad of companies and italian design factories, including alessi, brionvega, B&B italia, BBB bonacina, cimbali, danese, driade, de padova, flos, cassina, knoll international, kartell, moroso and zanotta. 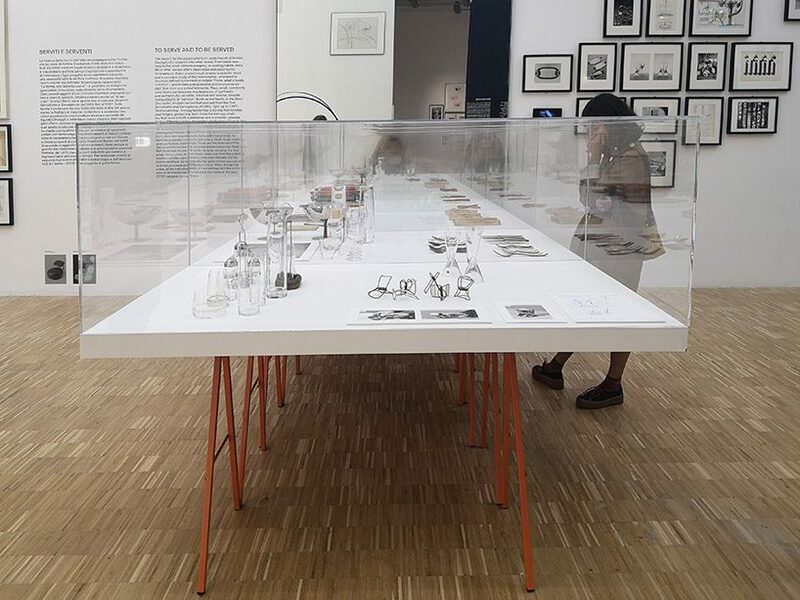 on from 6 october 2018 to 20 january 2019 at la triennale di milano. 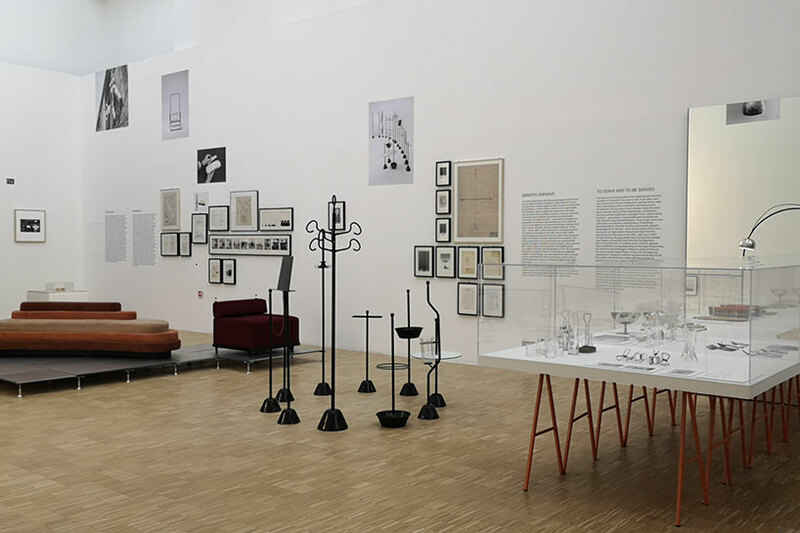 exhibition design is by patricia urquiola, and graphic design by dallas (francesco valtolina & kevin pedron). 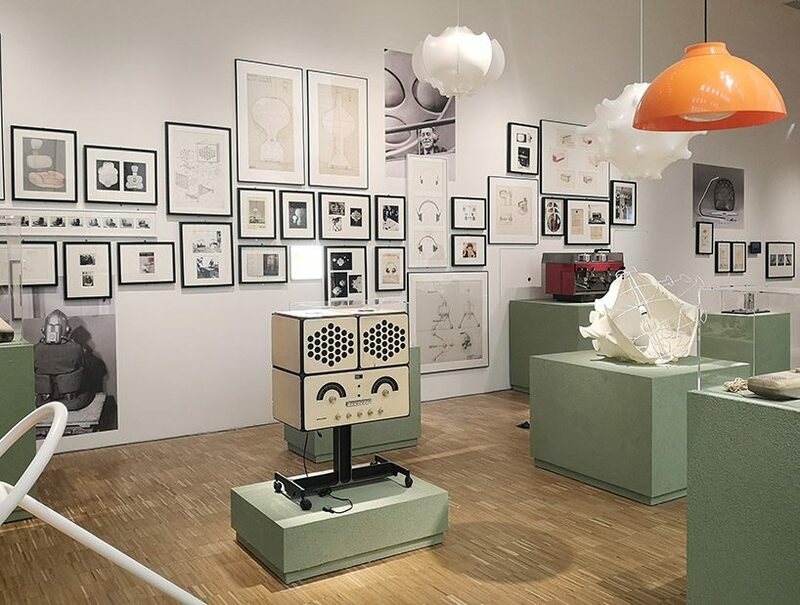 the exhibition was made possible by the support of several institutions such as the study center and communication archive (CSAC) of university of parma, the ADI compasso d’oro foundation, the alessi museum, the kartell museum, MUMAC – cimbali coffee machine museum, pio manzù foundation – manzoni art and design foundation, sony design, the archives of flos, cassina, de padova, zanotta, B&B italia, CASVA, caccia dominioni, giovanni sacchi, ugo mulas, and cesare colombo.